The Kalenga portal now online! We are pleased to present our new portal Kalenga. This new tips and news website, written by web professionnals, is dedicated to the solutions Joomla and Magento, the Rich Internet Applications (RIA), the open-source world and the 3D. and informations on the open-source world and on our jobs. 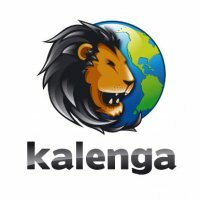 Kalenga was made for confirmed users, designers, developers or project leaders, who are looking for advices and opinions of professionals, and also for beginners who are looking for informations to help them to make the first move with these technologies. You can also join us now on our Facebook page! The NeoJoomla portal evolves in the same time, to move towards Joomla extensions and templates. So the news, tips and tutorials will be now only available on kalenga.fr. And during the coming weeks, all our scripts will be upgraded to be natively compatible with Joomla 1.5 (the component NeoRecruit was already upgraded, the others are following). The previous versions, for Joomla 1.0, will still be available, but we won't provide any more releases or patches for this version of Joomla.